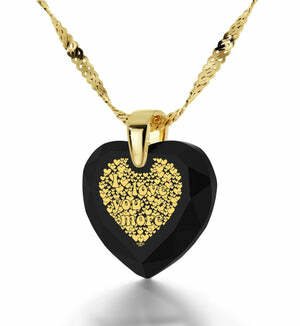 Put some more excitement into her life with this 14 karat Gold necklace! When you’ve been together for so long and have shared so much already, coming up with great gifts for wife can become challenging. There’s a lot to live up to after all, but nothing a little thoughtfulness and a lot of meaning couldn’t turn into an amazing gift for her, a piece of women’s gold jewelry she’ll deeply cherish and want to tell everyone about. 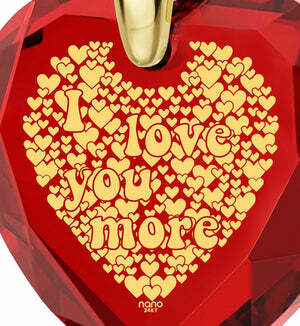 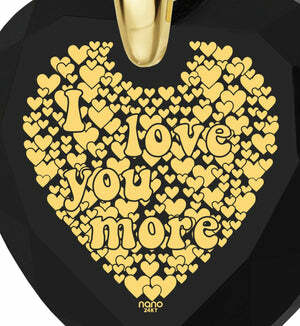 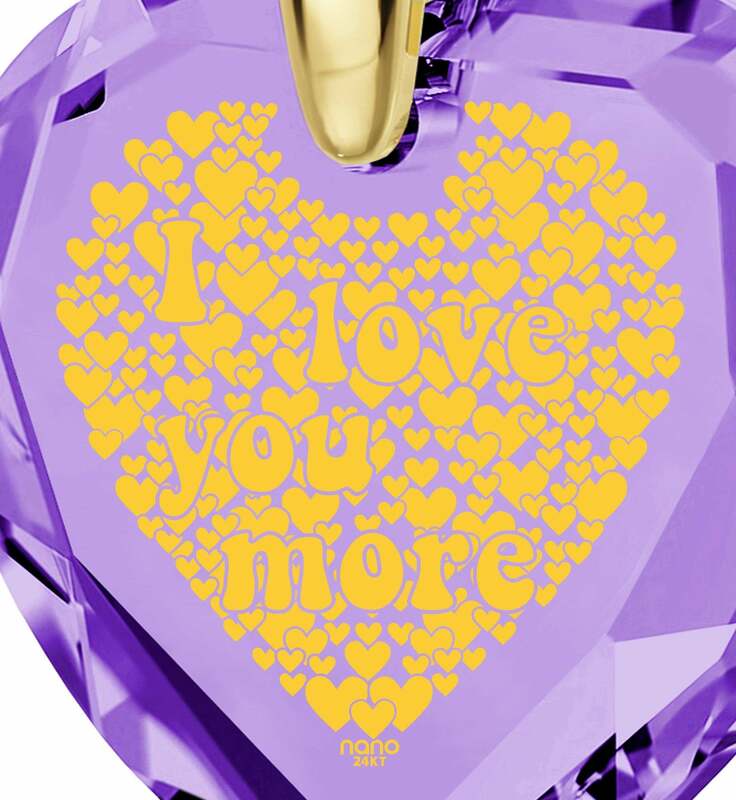 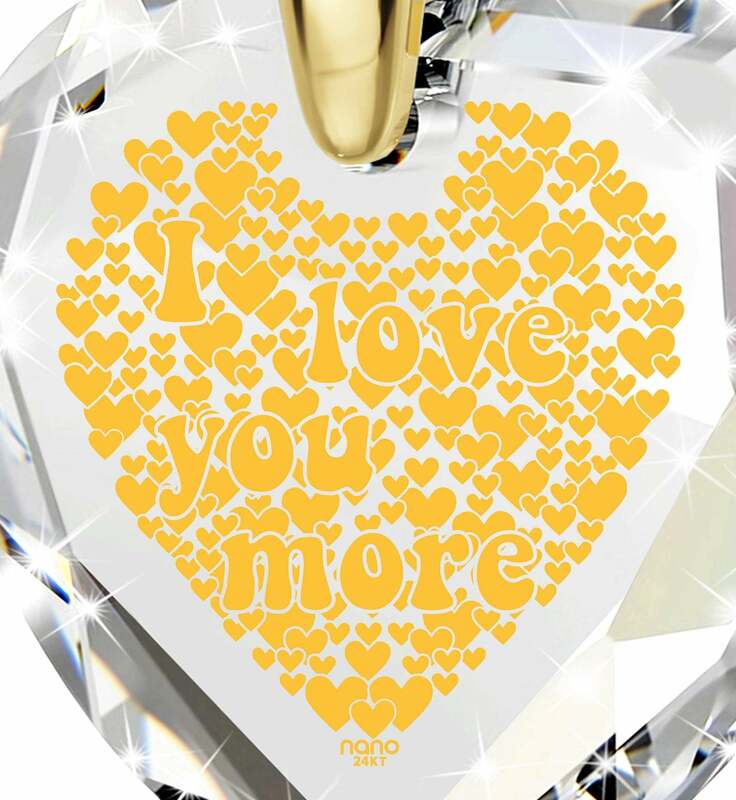 Right from the start you’ll notice that this I love you more necklace isn’t your run of the mill bauble. 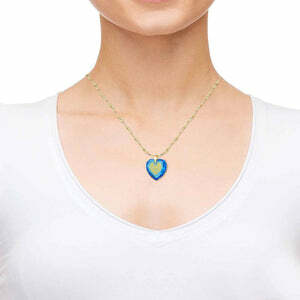 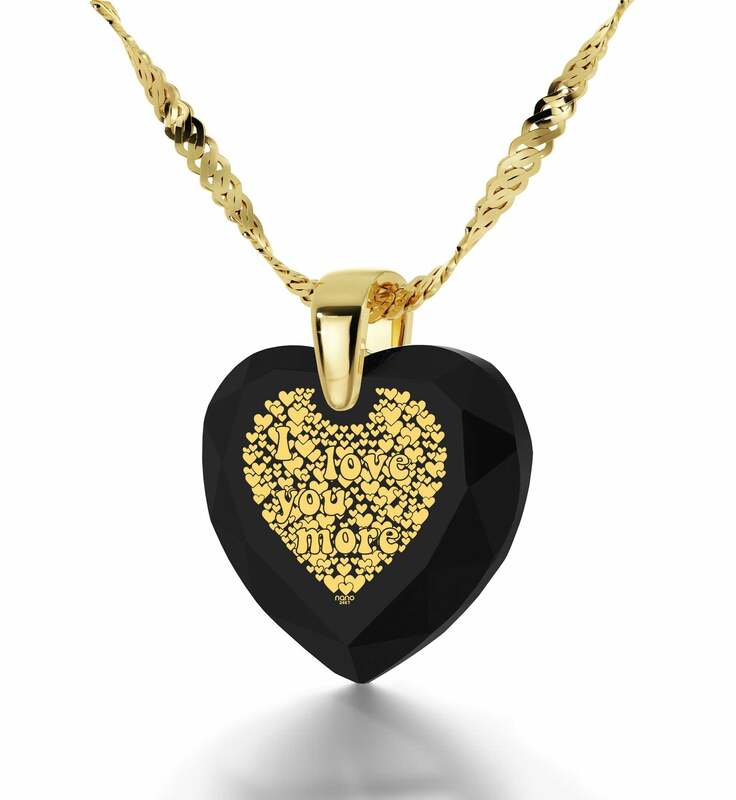 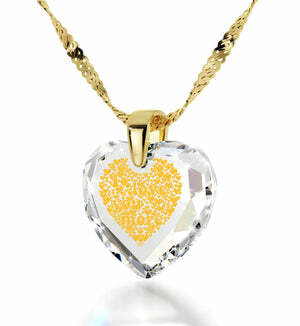 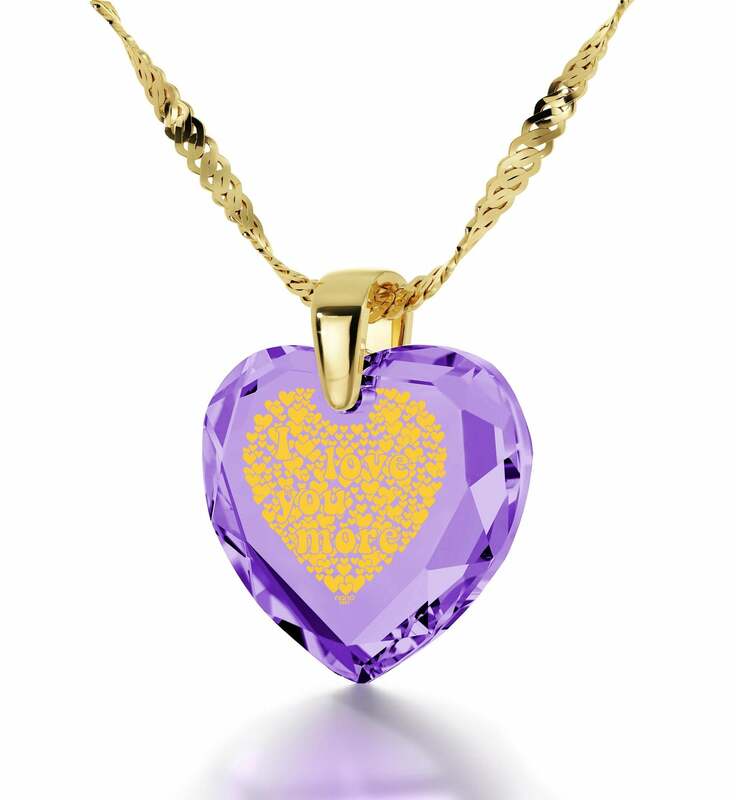 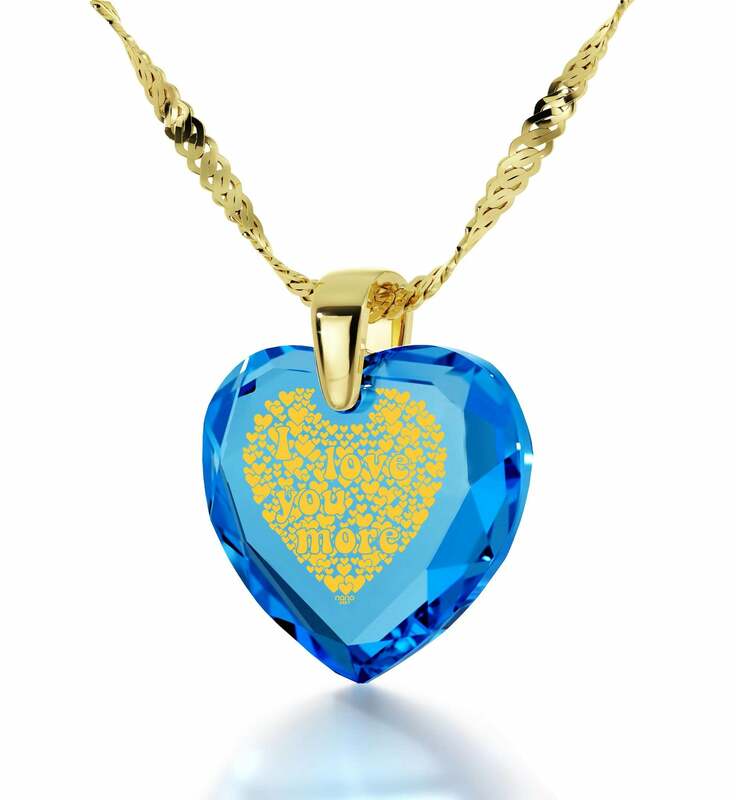 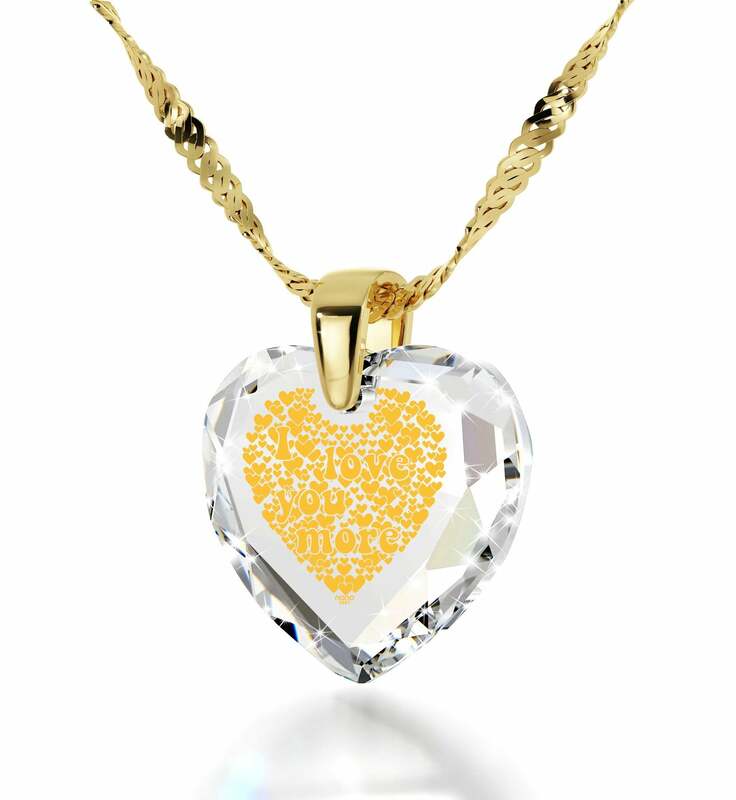 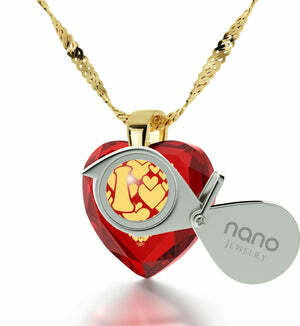 In fact, it boasts an exquisite 14k gold chain for women that suspends a heart-shaped cubic zirconia crystal which has a story to tell. 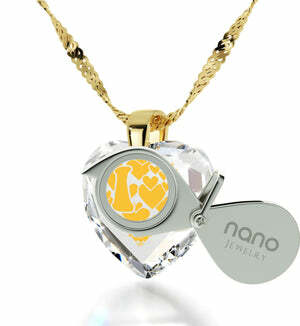 You see, it is imprinted using 24 karat pure gold. 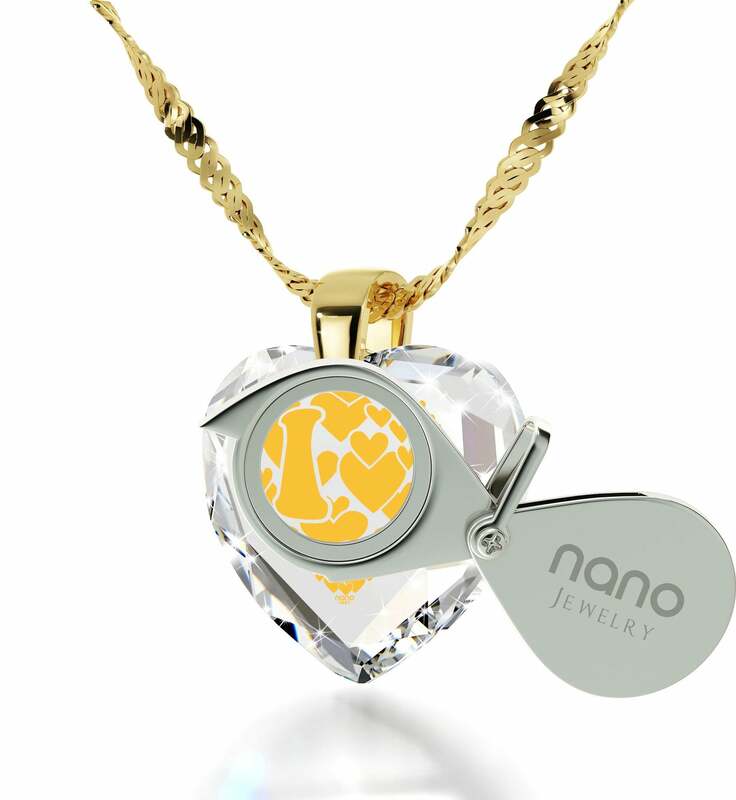 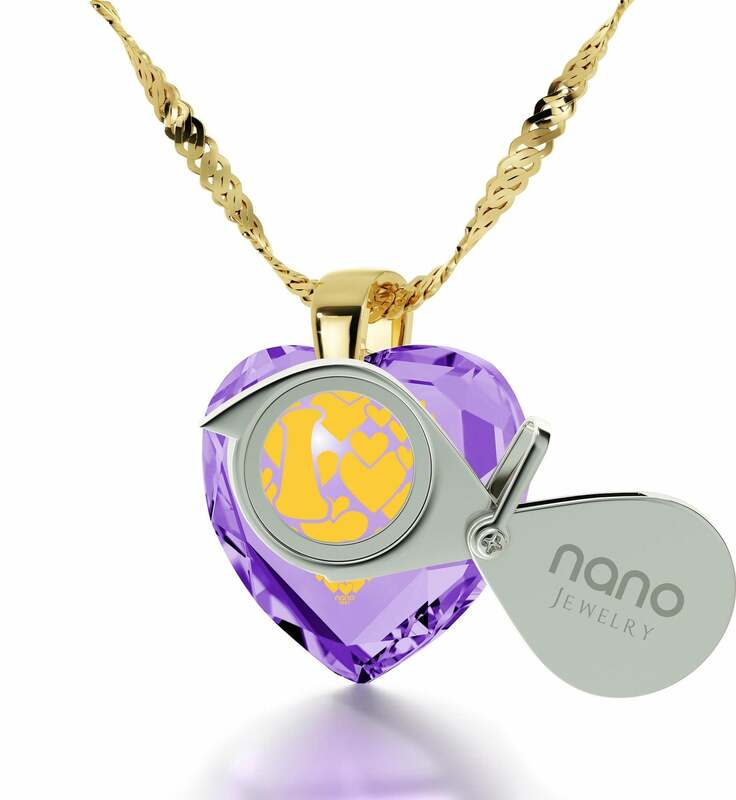 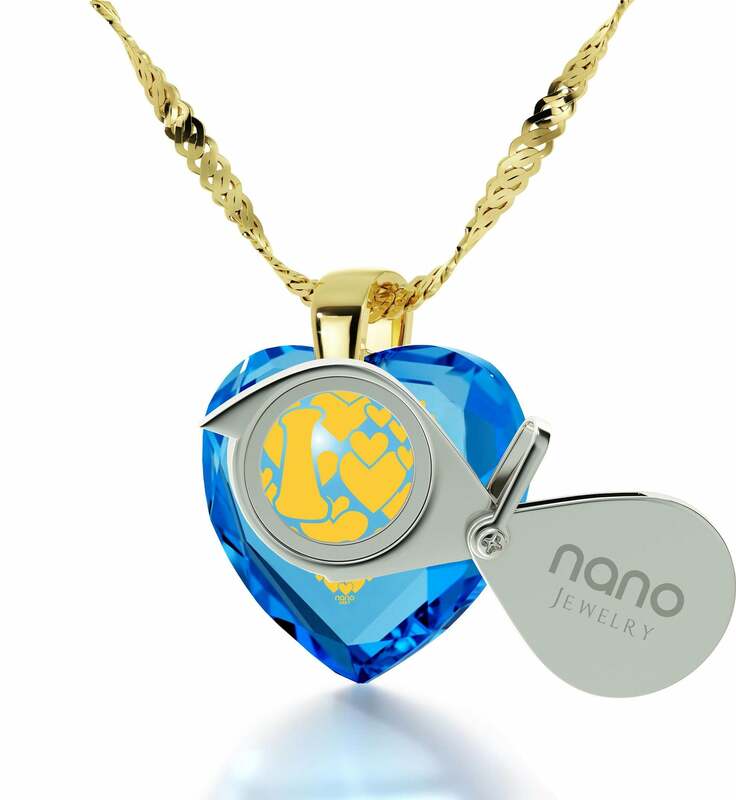 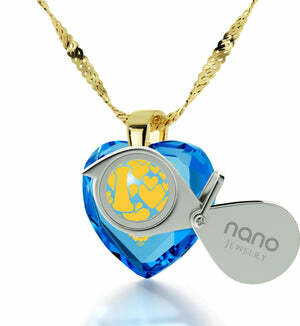 This might be all the rage right now, but literally no one in the world other than Nano Jewelry can make designs of such high quality and detail. This makes it more than just a necklace with meaning – it is a genuinely unique necklace that knows no equal. Imprinted are the words 2I love you more” surrounded by a myriad of little hearts. 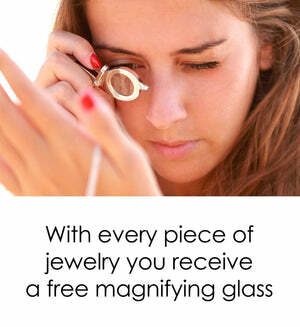 Counting them all and picking out a favorite will be easy for her thanks to a custom-made magnifying glass that’s also included. 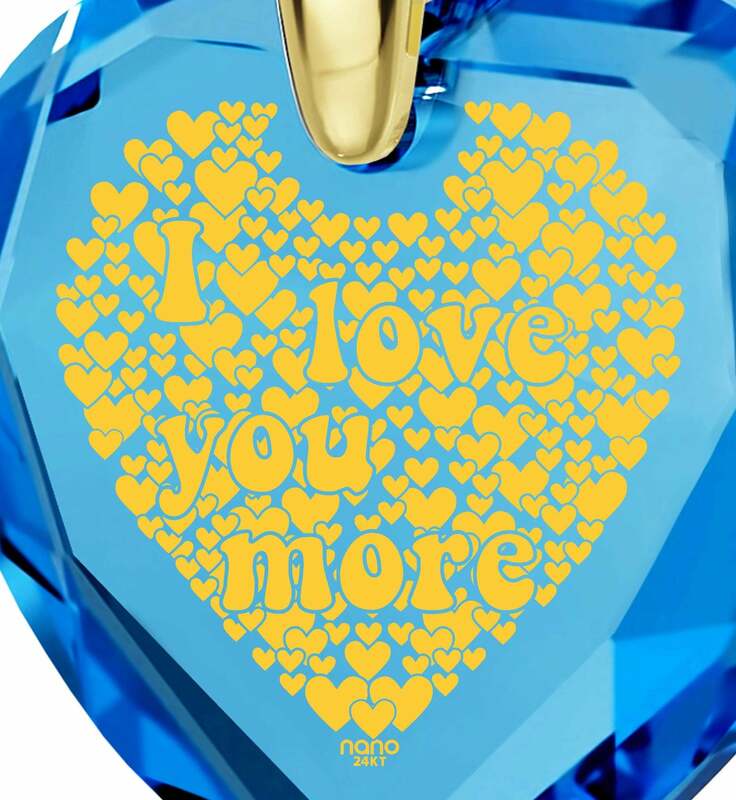 Tying everything together into an out of this world gifting experience is a lavish box she’ll dig right into to discover its intriguing contents. As soon as she does, expect a torrent of positive emotion and a spring in her step for days to come.